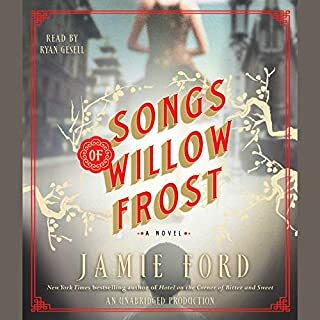 Songs of Willow Frost takes us back and forth in time as memories of Willow's earlier years come to surface. The book is extremely well written and the characters are multi-dimensional, but it is sad. Very, very sad. Downright depressing. The narration was excellent. If you enjoy a book that pulls you in, that clings to your emotions, that makes your heart sink and your tears on the edge of your eyelid waiting to brim over, you will enjoy this book. For me, although it was an excellent thought-provoking novel, it was depressing. It left me sad. Mainly because I know these injustices existed during this time period. Although as a society we still have a long way to go, this book helps us to realize just how far we have come. 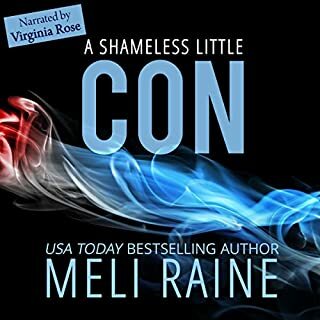 I was provided an ARC through NetGalley but didn't have a chance to read it until after the holidays and by that time the book had already been released. I made the mistake of beginning to read this book in the evening. Once I started, I couldn't sleep and I really regretted not reading this book sooner. When I had to go run errands the next morning, I dreaded the thought of not being able to sit and read to find out what happens next. The storyline was so exciting! So I purchased the Audible version of the book. Seriously. Even though I had a free copy of the book, I still purchased the Audible copy. And I'm so glad I did. I listened to the rest of the book while I drove! Great narration! Susan Bennett did an amazing job with the narration, changing her voice for each individual character, and portraying the emotion at each moment throughout the book. Such awesome characters! And the romance was hot! Tess is a strong, determined lady with a soft side for children and kitty's. Her crew, Big Guy and Shade were all terrific. But who are the good guys and who are the bad guys? You'll have to read this book to find out because I'm not giving away any spoilers! Loved it! 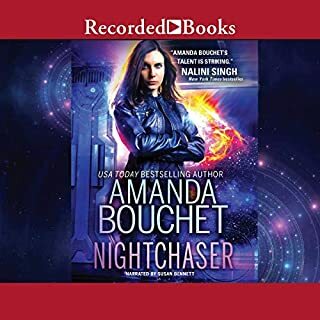 Highly recommend for Sci-Fi Romance fans! Frankie Howard will warm your heart. Such a great character. After being deeply hurt emotionally, the last thing he wants is to be confronted by saucy, spoiled Ruth Ann, his best friends sister. But that attraction between the two of them is not something either can ignore. Great historical romance set during the late 1930's that will make you feel like you've been transported in time. 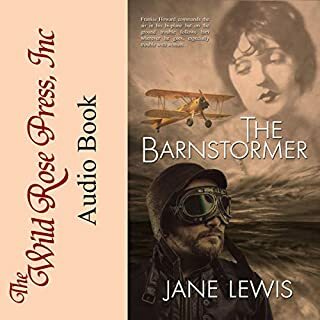 I listened to the Audible version of this book and once again I was mesmerized by the voice of Dawson McBride! A complimentary copy was provided by the author in exchange for an honest review. All thoughts, opinions and ratings are my own. When the Civil War arrives on her door step, Gettysburg doctor Alexandra Winters uses her knowledge of medicine to help the wounded. 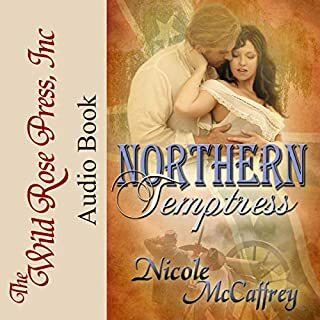 When an uncommonly handsome rebel officer finds her tending the wounded in his battlefield, he takes her for a spy until she confesses her darkest secret: Her brother fights for the South. He vows to find her brother and insists on escorting her home. But Alexa already has enough gossip attached to her name thanks to a scandalous divorce; she doesn't need to be seen keeping company with the enemy at a late hour. Wow! Nicole McCaffrey does it again! This story brings together the horrifying bloodshed of the Civil War, the family struggles for both the North and the South, and the raw emotions brought on by all that surrounds those living during that time period. Dr. Alexandra Winters looked beyond the color of a uniform and aided whoever needed her help. When a Confederate officer is badly wounded, she does what she can to heal him, even if it means hiding him from the Union soldiers. Great writing by an amazing author, characters that go straight to your heart, and a narrator who makes you truly "feel" the story. Dawson McBride was fantastic as he read, changing his voice to match the characters, pausing for emphasis when needed, and softening his voice for those romantic scenes. Dang, he's good! And those romantic scenes were tingly and hot! The narration was wonderful. 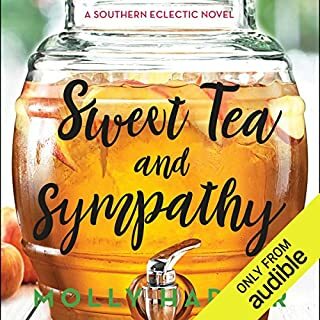 The southern accents and appropriate pauses at the right times, and the change in the voices was very well done. Arden O'Hara is desperate to go home. Her fiancé was supposed to ride to her rescue, proving it's her - and not her father's money - he loves. Instead, an arrogant stranger with weapons strapped gunfighter low and a decided lack of sympathy for her situation shows up spouting a ridiculous tale about someone trying to kill her. It's infuriating when Raz Colt's claims prove true after not one but several attempts are made on her life. Humor, Romance, Action and Suspense! 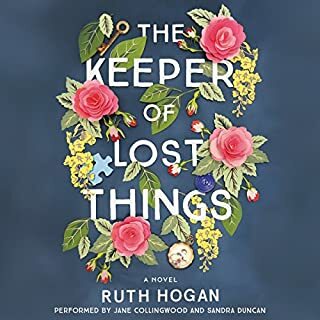 THE KEEPER OF LOST THINGS is a delightful story with even more delightful characters. There are actually two stories being told, side by side, that come together in the end in a way that will leave you shaking your head and grinning from ear to ear. Each character that Ruth Hogan has created is so well developed that they come alive in your mind as you read... or in my case, listen. Yes, I listened to the audio version of this book and I must say that it was extremely well done. One of the better audiobooks I've listened to in a long time. The blurb about the book pretty much tells you what the book is about, so I won't repeat that here. I'll just give my opinion. And that opinion is a good one. It had everything. And it made me smile. There is so much to love about this book. The romance is sweet. It's the kind of romance that gives you tingles and wanting more. Verna Clay does that. Every. Single. Time. Ann Hackstetter's louse of a husband dies, leaving her penniless, insurance cancelled and her home heavily mortgaged due to his gambling. This leaves Ann homeless and needing a job but the only thing she thinks she can do is housekeeping. It just so happens, however, that Jackson is in need of a person to run his household on his ranch, and he has had his eye on Ann for a long time... for more than just her cleaning abilities. SPOILER HERE - Don't read this paragraph if you don't want to know! Things seem to be looking up for Ann until she's confronted by a bad man who claims Ann's husband died without repaying a big debt to him. When Ann explains that she has no money, the man forces her to get the money from her wealthy friend. That's when Ann does the unthinkable. She hacks into Jackson's computer and steals $50,000. Oh my! That's also when I almost stopped listening to the Audible version of the book I was listening to. How could she steal from such a great guy! Jackson is Mr. Perfect! But I'm so glad I didn't give up because things had a way of working out, but not the way you would expect. Ann redeems herself by working with the FBI as an exotic dancer and computer hacker to put the bad guys out of business. The beginning of the book was a bit slow to start, but when things heated up they heated up fast. Bounty hunter Wyatt McCade is taking down outlaws one at a time. He's been in love with Tess Sullivan for years, but she refuses to give in to her feelings. Reeling from the rejection of his marriage proposal, he chases bounties with little concern for his own safety. 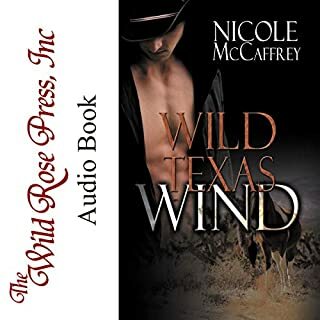 When word reaches him that Tess never left for Boston, he rides for Cheyenne to confront her. Instead, he is ambushed and left for dead. 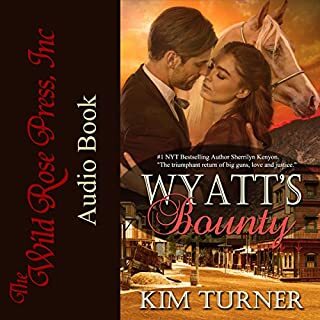 Doctor Tess Sullivan shattered her heart by refusing Wyatt McCade's marriage proposal and making the biggest mistake of her life, by holding onto a secret. Another great western adventure by an author who creates characters who grab your heart and keep it racing. Nice sequel to Sawyers Rose.